If you hold yourself to high moral standards, as Captain Mainwaring (mostly) does, other people can often prove a disappointment. And when Jones has been taking his section on a pub crawl when they should be on patrol it is hard to overlook it. It’s not often that Godfrey lets his hair down but in this episode he has, by his own admission, become rather embarrassing. I love the way Arthur Lowe has to choke back a giggle at this revelation. 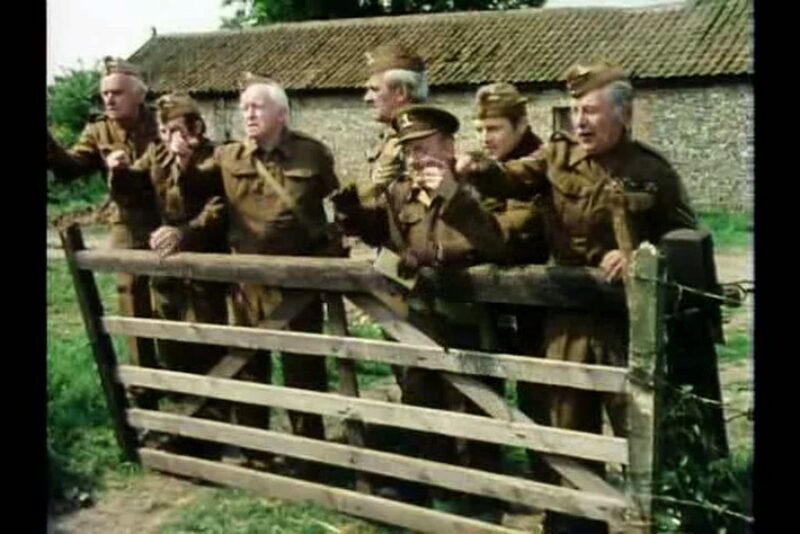 We’ve already encountered the platoon singing rude songs in this series before but I have to say I find it hard to imagine gentle and proper Mr Godfrey singing the song about a monk of high renown. All I will say is, if you don;t know this song and have an, even slightly, sensitive disposition then it’s best to let sleeping dogs lie as it is a truly filthy soldier’s ditty. No wonder Godfrey is embarrassed, I’m surprised he’s not been banned from the Goat and Compasses after that. This entry was posted in blog on July 21, 2018 by wolAdmin.